Ok I promised a mention for this top ages ago and then forgot. Sorry! The trouble is that it doesn't photograph very well - nothing dark grey/black ever does unless you're outside during the day...and I'm finding sequins are not great on a building site. But it's the perfect going-out top for me. Not too blingy and can be dressed up or down. So easy to wear and very flattering. I'm pretty sure it comes in a few other colours but I'm struggling to find them online right now. The sequins are at the front only and are not super sparkly ones - more of a dull finish. Lovely dark grey so it looks great with black skinnies but also will look amazing with the grey jeans I *will* find before my next night out. I ordered it on the next day delivery service and am pleased to report that it worked a treat again. 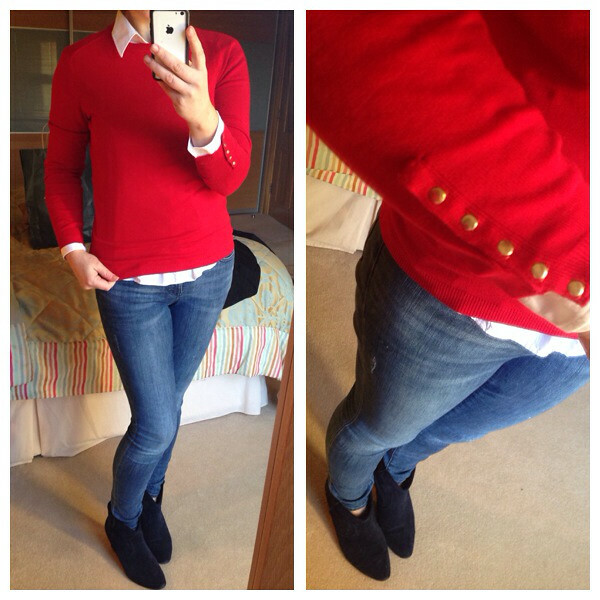 Next, I was looking some red for the festive season and the detail on these basic jumpers from Zara is lovely. But they're tiny and there were only Mediums left. I'd have needed an XL I reckon! 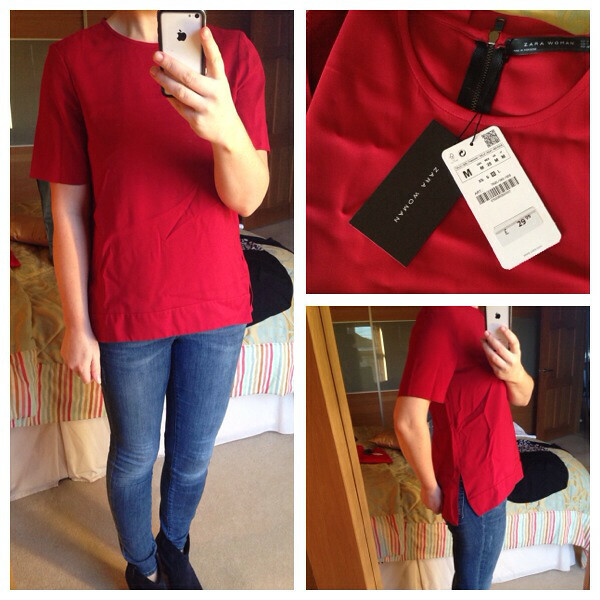 Lastly, the shape & colour of this top was an instant hit. I bought it in the size M. It looked great in-store and then the creases happened on the way home. 20 minutes in a bag at the most. 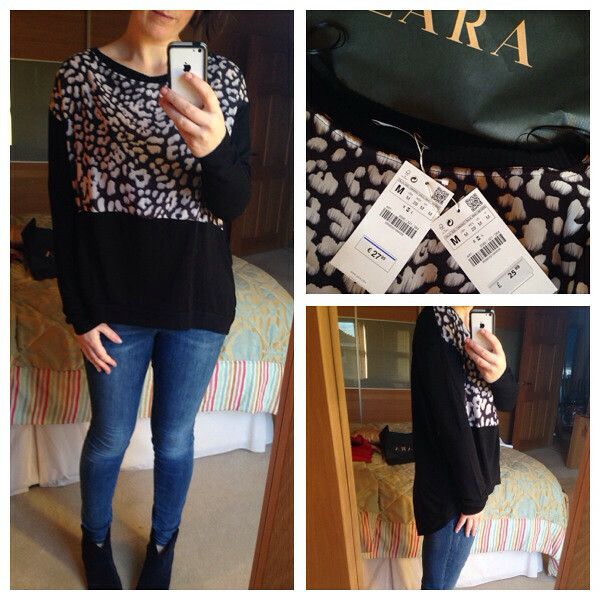 No way Zara...lovely top and a great fit but I'm not dealing with those creases every time I wear it! Now to work out when in the next hectic week I'm going to get a chance to get back to Zara to return the lot. Hoping to be back on Tuesday or Wednesday next week to report on my nocturnal lenses. For those of you not on social media, I'm having Ortho-K lenses fitted on Monday, all being well. You can read all about them on this link and the plan is that they will remove the need for glasses or lenses during the day. So excited about it! 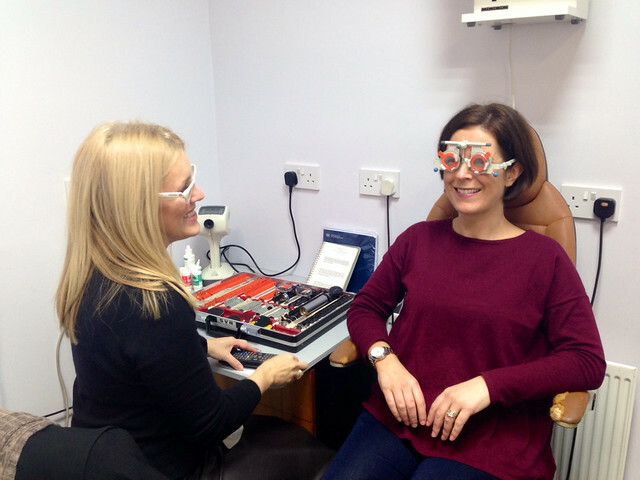 Here I am with my optician, Gillian Gervias on Tuesday, being measured up for them. In the meantime, keep in touch on Instagram if you want to see how the move and everything else is all going and you never know, you may get an occasional glimpse of something other than trainers and leggings! Zara is often a lottery, isn't it? Stuff that looks great on the website often looks terrible on me, and it's the stuff that I scroll past that I end up buying when I'm in there! I was looking at that Next sequinned top in the navy, agree it looks so easy to wear and the grey is lovely too. LOL at your comment re sequins on a building site!